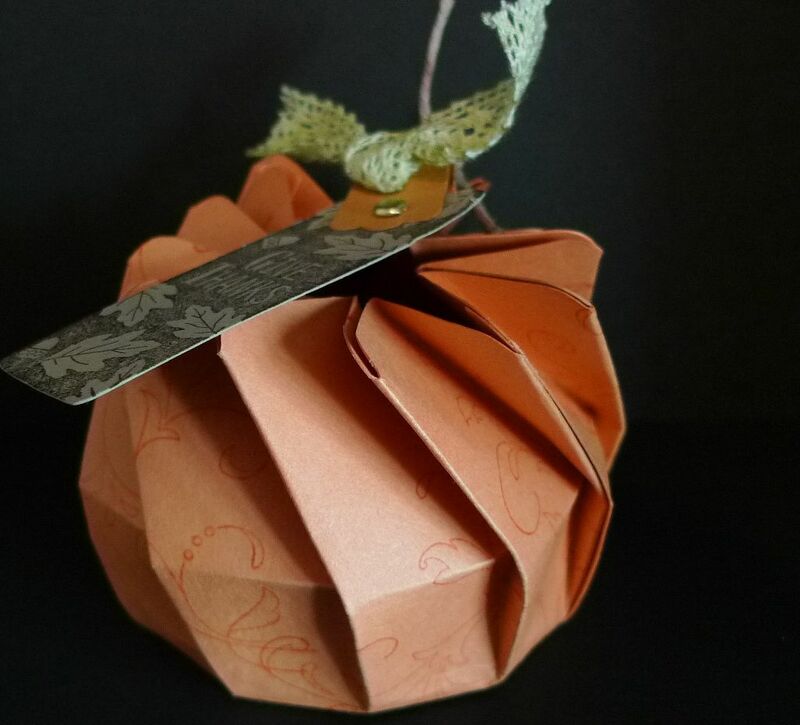 Karina's Kreations: Looks Like a Pumpkin? Have you seen the Blossom Bigz L Die yet? It makes this really cute treat holder that would be perfect for Thanksgiving. 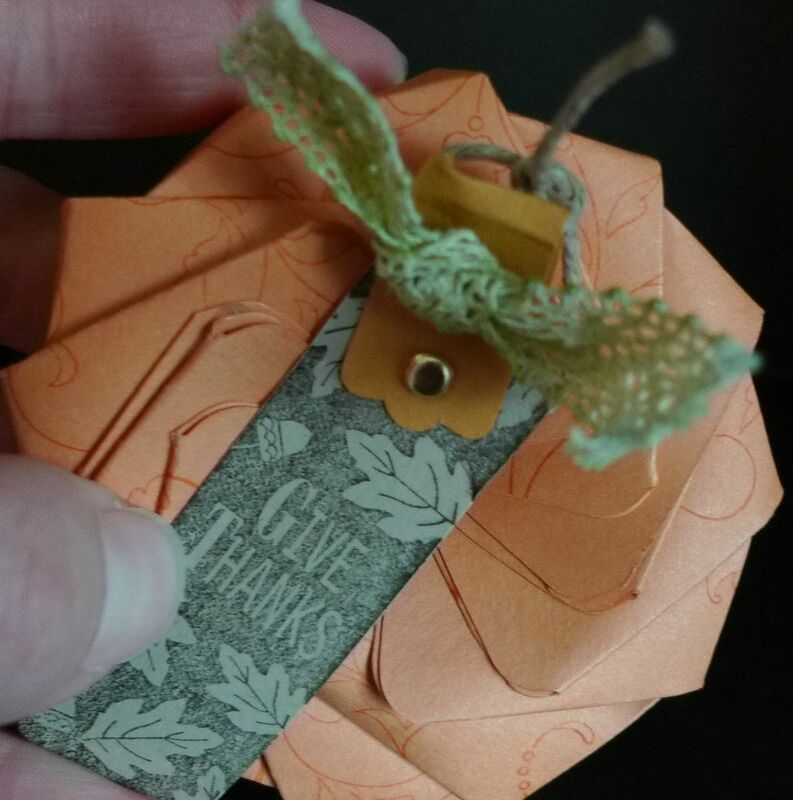 I received this fun Blossom Box treat holder for presenting at Millet. It was given to me by Chirsty Harsch who puts on the amazing Millet meetings I get to attend. It was made with Creative Elements & It's a Wrap Stamp sets. Notice the ribbon? It's our Victoria Crochet ribbon that's been died with Old Olive re-inker. So Clever!!! With a re-inker, you can make any color of ribbon that your want.